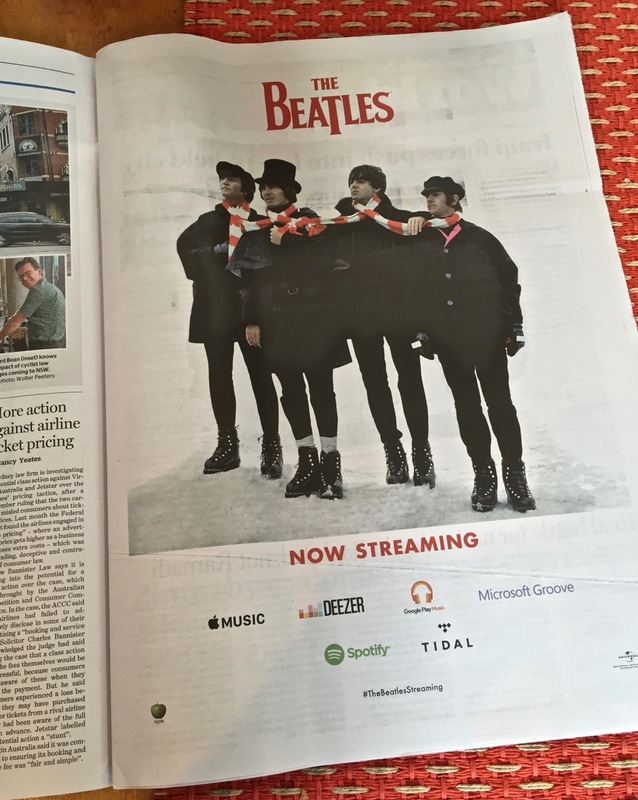 Happy holidays from the Beatles: As of 12:01 a.m. on Dec. 24, the band’s music will finally be available on streaming services worldwide. However, the surviving members of the group, Paul McCartney and Ringo Starr, along with Universal Music Group, which controls the band’s recorded music, made no statements other than the fact that the Beatles’ catalog — 13 original albums and four compilations — will now be playable on nine subscription streaming music services: Spotify, Apple Music, Google Play, Amazon Prime Music, Tidal, Deezer, Microsoft Groove, Napster/Rhapsody and Slacker Radio. Known as singular holdouts in the digital era, the Beatles, the best-selling group of all time, resisted offering its songs on iTunes for more than seven years before coming to an agreement with Apple in 2010. “It’s fantastic to see the songs we originally released on vinyl receive as much love in the digital world as they did the first time around,” Mr. McCartney said at the time. The band sold 450,000 albums and two million individual songs in its first week on the service, according to Apple. This entry was posted in Apple, Apple Records, Beatles, Beatles iTunes, Beatles Music and tagged Apple Records, Beatles, Music, Streaming by beatlesblogger. Bookmark the permalink.